Cooking breakfast is my least favorite meal to prepare. I love going out for breakfast. There’s something just so perfect about waking up and having someone else make the first meal of the day for you. We all know breakfast is the most important meal of the day, so why not make it special and start your day off great? A sit-down-at-the-table breakfast is the best way to start the day. Weekends are when I really look forward to a nice breakfast. 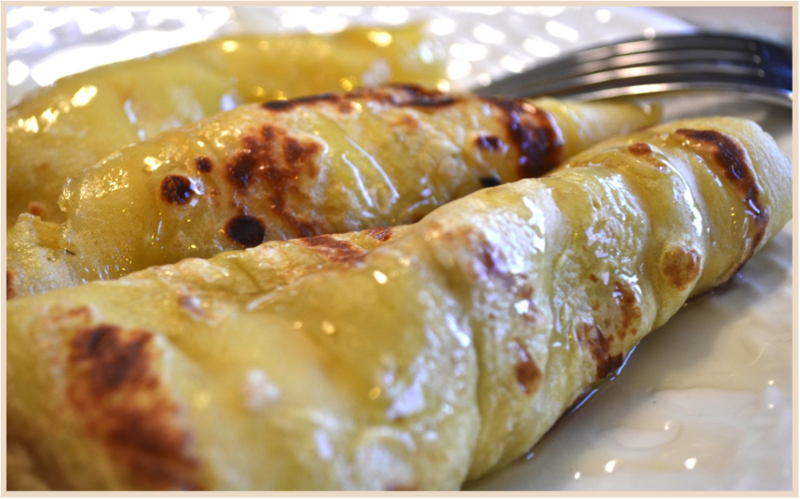 Here is my recipe for crêpes filled with honey-walnut cream cheese. They are light, loaded with flavor and a bit of crunch, then finished with a sweet drizzle of raw honey. Serve with sliced fresh fruit. Add some jazz music, a pot of French press coffee, a newspaper, and your weekend has begun. 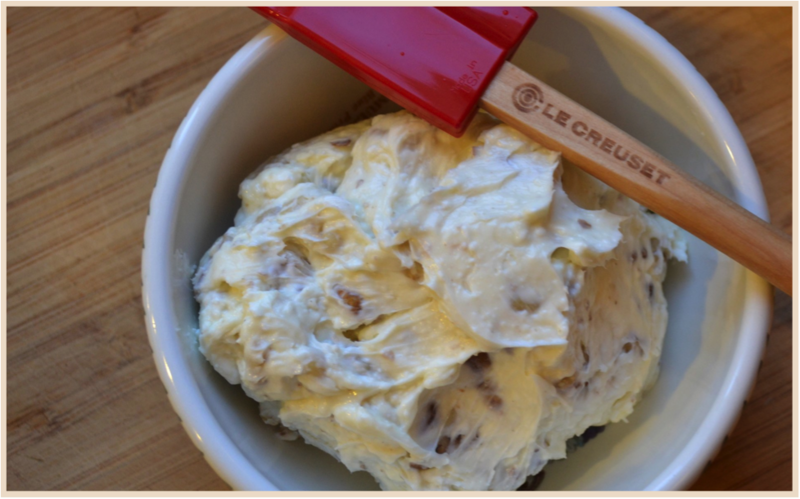 In a small bowl, using a fork, mash together the cream cheese, honey, and walnuts. Keep stirring until all ingredients are combined. Set aside. 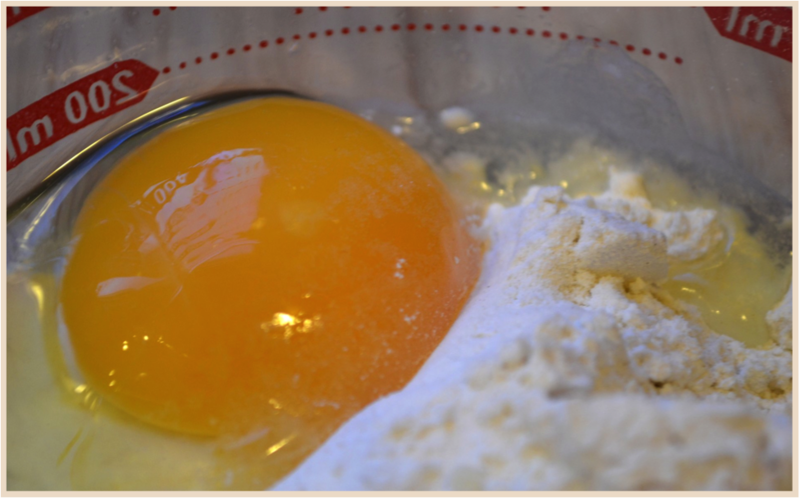 In a larger bowl, whisk the flour, milk, eggs, and honey until you have a smooth batter. Heat a non-stick skillet on medium-high heat, then dot with butter. Drop a dollop of batter onto the pan, rotating it to slide the batter around the pan. You will have to decide how large you want your crêpe and adjust the amount your pour into your pan accordingly. Cook on one side for about 1 minute, then carefully flip over and cook the other side an addition 30 seconds to 1 minute. Repeat until your batter is gone. Fill the crepe with 1 large tablespoon of the cream cheese filling, spread it on the crêpe to even it out, then fold or roll your crêpe.